As spring kicks off here in Virginia, my creative eye strolls to the garden. 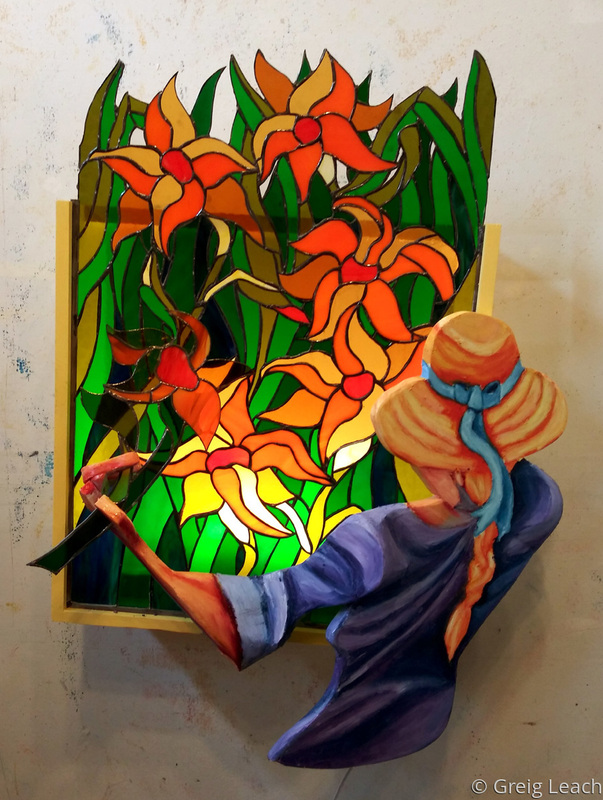 This is a combination of stained glass, internal lighting and Shiva paintstik painted plywood and aluminum sculpture. Follow this link, https://www.youtube.com/watch?v=gtYlLlnZpLU to get a better understanding of the 3-D quality of this work.